Late last year I wrote an article about the 14 Steps Towards a Simpler Lifestyle. It’s been more popular than I imagined it would be, but I find it so encouraging that so many of you are trying to get into that simpler style of living and you are working on the ways to get there! 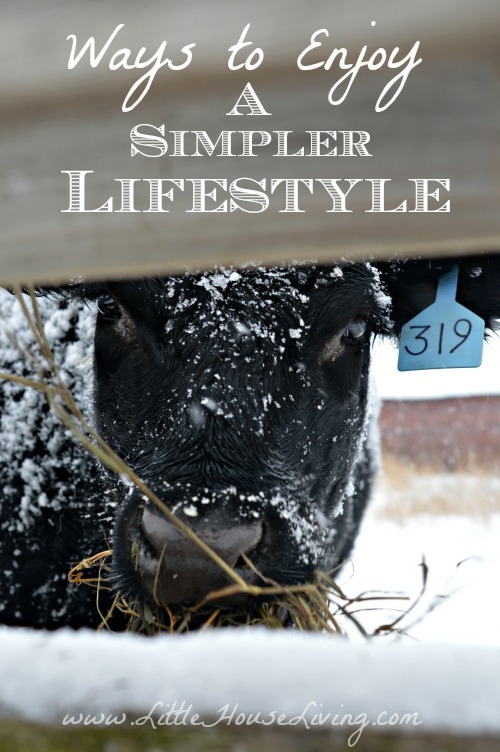 If you haven’t yet taken the time to begin living a simpler lifestyle and you need a little more instruction or step by step details on how to do it, I would highly recommend my workbook, 31 Days to Simpler Living. But once one finds themselves right in the middle of that lifestyle that they dreamed about, a dissatisfaction can happen. The lifestyle isn’t what they expected, they are bored, they are unhappy with where they have to live this lifestyle and they see themselves moving or buying something that they think would help “make it better”. And if you haven’t been to that point in your journey yet, trust me, it will happen sooner or later. Isn’t it funny how when we think we have everything that we want we still aren’t always happy? That’s when I have to remind myself that no matter what I do in this life, my lifestyle isn’t where my happiness comes from. Happiness is a choice and ultimately we aren’t made for this earth, so it will never make us truly happy. But I’m not here to preach a sermon today, I’m here to share with you what I’ve learned about what you can do when you get to that point in your journey. When you are bored, when things happen that you don’t expect, and when you feel like you need something else to add to or enhance your simple lifestyle. First, take a deep breath. If you are feeling frustrated for any reason, take a walk, sit outside or somewhere calm for a while and clear your mind. Think about what caused you to get frustrated in the first place. Did a neighbor have something that you wished you had in your house? Did a friend question your lifestyle? Consider why what happened made you upset. Remind yourself about how lucky and blessed you are. If you are living a simple lifestyle already, there are so many out there that want to be in your shoes. You are so lucky! Not a day goes by that I don’t remind myself how blessed I am to be able to live the way that we do. Starting the day feeling grateful for your place in this life will have a tremendously positive impact on your day. Take a break. Do something out of the ordinary. Take a day trip to a place you may not normally visit during your weekly routine. Take the kids to the store and let them pick out a special treat. Since living the simple life often also means the frugal life, we’ve found that rewarding yourself here and there can be a big help and not make you feel so stressed about the budget. Invite your friends over for a “day in your life”. One of the biggest stresses of the simple lifestyle can be friends and family that don’t agree or are “concerned” about the way you’ve chosen to live life outside of the fast lane and maybe with unconventional methods. I generally ignore these kinds of comments, because what someone else thinks about my lifestyle doesn’t concern me. If my family is happy and healthy, then I know we are doing the right thing for us! However, if ignoring the issue doesn’t work, inviting them to be a part of your life for a day or two usually will help. Then they can slow down and see why you’ve chosen to live a simple life and that you really love it. The simple life is a funny thing…it might be called simple, but those living it know that it definitely has it’s days where it’s not! It’s hard work, but it’s so worth it. What are some things that you do when you are struggling with enjoying the simple life? 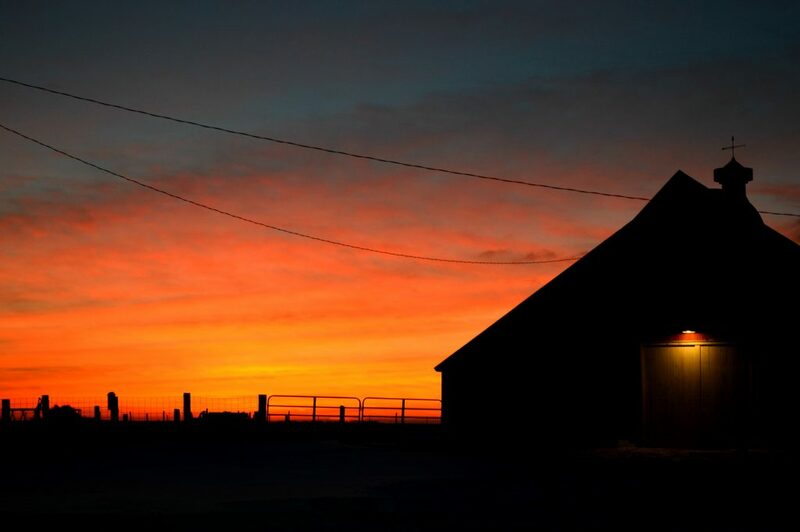 14 Steps Towards Living a Simpler Lifestyle Living Simpler in February Living Simpler in January Ways to Keep Your Mind Busy Through the Rest of a Long Winter Is Living Simply Still Possible in Today’s World? I like your idea of inviting someone over to see your day. Thanks for posting. Hello from Motivation Monday. Great tips! I hadn’t thought about inviting someone over to experience a bit of your life. But, it’s true, isn’t it? Whenever we spend time with another person and truly see their perspective, we tend to judge less and support more. So very true Merissa! We did this 10 yrs ago and people thought we were nuts! While they spent and went on vacation after vacation we sold the big home and most of the toys. 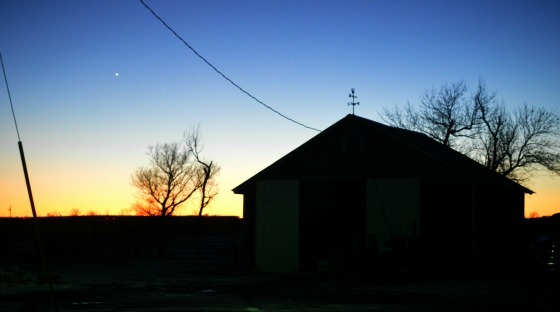 The fruits of our labor have paid off as both boys went to college without any debt and all we have left is a small balance on the farmstead. The doubters are either divorced or have filed for bankruptcy. The best part is my husband is retiring 10 yrs earlier than planned. Love your site, keep up the great work!!! We made the move several years ago to a much simpler and quieter life. While the first few months were very difficult( nothing close by, no friends two houses down) we did adjust. When I feel dissatisfied I remember why we moved in the first place and all of the changes that have taken place in our lifestyle for the better. Usually I like to do this while walking through our woods and taking care of our animals. Nothing is better than listening to the birds, bugs, tree frogs, geese, and wind. And there is no greater satisfaction than creating a meal from food I have grown and raised. Inviting someone over to experience what I do all day would be great fun to me but unfortunately all of my friends are deep into the rat race and don’t have time. Sad really. Going through much of this right now, as we moved our family of 8 into a travel trailer last year and have been figuring out what simple truly means and is. It has been challenging and amazingly growing! We have all grown in unimaginable ways, and had to face certain aspects of ourselves that otherwise could have easily stayed hidden by isolation and separation in our former larger home. Thanks for sharing your learned wisdom =0) It’s always a blessing to share testimonies and the lessons the Lord teaches in our lives =0) Shalom! When we moved two years ago due to a new job for my husband, we thought we would be buying a house around 1000 sq. ft. We had gotten rid of a lot o things. Funny how things work, the Lord closed all the doors for smaller house and we ended up in a 2000 sq. ft. home. Talk about surprised. However, we determined that we would not replace items we had sold. The house seems big, but it is still “small” house and simpler living. Easy to clean and take care of which leaves me more time for my home business and spending time with people, not stuff. I love your web site and gain much from it even though my house is twice the size 2 people really need. But then again it was the Lord who provided it, who can complain when we leave life’s decisions in His hand. That is where true contentment lies regardless of the size of home. how quickly do we need to replace things? Replacing the floor, which was ripping itself up! Replacing a fridge, which seems to leak, although not enough to ruin the floor yet. Waiting on range and range hood until we save up or bonus comes in. be low cost. Comfortable with the idea that this might be a five year project, as finances permit. Great article! My family has taken on a simpler life style in the last two+ years without even moving! We have just decided to enjoy living and celebrating with less. We threw out & gave a way a great deal of clutter that we just spent time keeping up with and not necessarily enjoying. Birthdays & Christmas have become less about stuff & more about memories & creativity. There is such a feeling of freedom that comes with living debt free. Somedays we do feel restless though. Late last fall my 12 year old made a list of all the potential activities she & her brothers could do if the winter weather prohibitted them from being outside. Now if they are ever feeling bored they have a list with ideas posted near the fridge. I started counted cross stich & have loved working on little projects for friends with new babies or pieces for our home. Just little projects, nothing overly complicated. Many free, printable patterns can be found on Pintrest. There are times it just feels better if my hands & mind are busy but I’m too tired to read. Several have mentioned being thankful. Giving thanks & listing my blessings is another way I fight wrestlessness that can come with a less hectic life. We love our simpler life, Merissa. Thanks for your great postings to keep us encouraged & inspired. Thanks for this article & reminder- came at the perfect time! This is inspirational & helps us to stay positive & Trust in the Lord! I have the same trouble of being dissatisfied when all is going well. Thanks for the post! Wonderful advice! Thanks for linking up at the Thoughtful Spot Weekly Blog Hop! We hope you join us again next week! Thanks for your inspiring blog! One day I saw a documentary about the Amish (broadcasted here in Holland), people who live a super simple and plain lifestyle. An Amish woman explained that just a simple livestyle won’t give the fullfilment people are looking for. Only Jesus can give us true peace in our heart and minds. This sentence really helpt me balance my search for a simpler lifestyle. Oh, I love this. It’s all about mindfulness and reminding ourselves of why we do this. Surrounding myself with nature and meditating helps me.